History serves as a guide and reference, a basic yardstick to judge experience. The political landscape of Kwara state is becoming tensed because some politicians seeing they lack issues, content and nothing to write home in the area of achievement for the years they were supposed to payback the trust of the electorate they once but no longer have. The recent happenings is history coming back to play in a modern fashion. All tactics deployed today by Saraki is just echoing the saying that a good liar assume people won't learn. In 2003, when Saraki and his late father were trying to undo the Late Mohammed Lawal the then governor of Kwara state. They went as far as creating violence and putting it on the then Governor Lawal as his deeds, produced similar "Up Lawal" campaign vest distributed it to their followers to disrupt the peace of Kwara yet putting it on the Late Lawal's name, disseminating misinformation, fake news and several propaganda to twist the conscience of Kwarans against the late Lawal. Although the Late Olusola Saraki later regretted such act and seek forgiveness before he joined the late Mohammed Lawal. What's different from what we are experiencing today? Nothing. Instead modernization of the then devilish strategy against Late Governor Lawal adding the New Media touch is the only slight difference which we can summarize as "Revised edition of Anti-Lawal antics" is the new trend. It is on this note I have deemed it fit after proper analysis, observation, verification and background check with continuous advice from notable Kwarans for them to retrace their steps even though investigation shows that some of them are under the payroll of the Senate President coordinated by Mr Banks Omisore and others under the payroll of the State government coordinated by Dr Muhydeen Akorede one of Governor Abdulfatah's SSA. This young boys who are ready to fight dirty to protect their food which they believe can only come from Saraki. Some of them have started cursing their friends and families on social media, displaying ungratefulness to fingers that once fed them because they are no longer with the dynasty, severing age long relationship ties all in the name of protecting the dynasty by every means possible making their belly their god. Saraki is embarking on his 2003 antics again, using fake news to turn true citizens of Ilorin against one another. The leader of the inglorious hegemony is ready to go back to Ago Ika, Abeokuta, Ogun state if things go awry. But before he does, he has employed the service of some hungry young guys to destroy things on social media. Kindly take note of some of the individuals you should try to avoid on Social Media even when their words attack your person, some news platforms and blogs you must also avoid by all means in order not to feed your minds wrongly as they have been paid to spread propaganda, fake news, and misinformation because the dynasty believes their is nothing worthy in achievement to campaign with for the four terms in office spanning over sixteen years of Saraki governance in Kwara state. 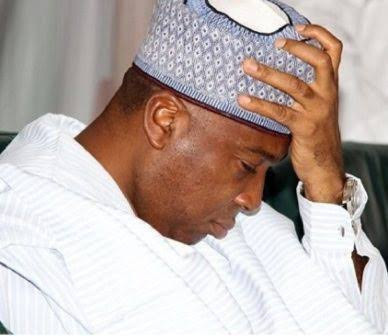 Senator Bukola Saraki's fifth term ambition as governor of Kwara state using Abdulrazaq Atunwa is suffering major setbacks from the fading love of electorate to prominent people decamping to join APC and supporting Abdulrahman Abdulrazaq to say Otoge to civilian colonization in Kwara. I will keep you posted about others as our research continues.